ITM Power, a leading developer of hydrogen fuel cell technology, has announced that it has been awarded with a $5 million grant from the Fuel Cells and Hydrogen Joint Undertaking for a new project. 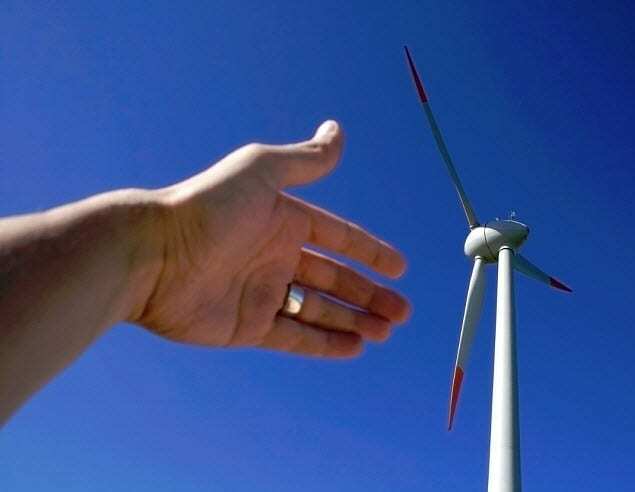 The project involves using surplus wind power to produce wind energy. ITM Power will be delivering its acclaimed electrolyzers to the Orkney Islands, which is home to a considerable level of wind energy capacity. The islands generate approximately 46 gigawatt-hours of renewable electricity every year and this energy has been exported to other regions since 2013. The project will involve the use of electrical power generated by wind farms located on Shapinsay and Eday, two of the Orkney Islands. This energy will be used to generate hydrogen fuel, which will then be used to help deploy 10 electric vehicles, each equipped with a fuel cell range extender. These vehicles will tap into the hydrogen fuel they need at a fueling station that will be located near Kirkwall. The new project represents another step forward in the development of renewable hydrogen fuel production solutions. Using clean energy to produce hydrogen is becoming a very popular concept. Throughout the world, companies involved in the fuel cell industry have been supporting ways to produce hydrogen fuel more efficiently in order to make fuel cells more attractive when compared to other clean technologies. As such, renewable hydrogen fuel production, especially that which focuses on the use of solar and wind energy, has been enjoying a period of growing demand. Conventional hydrogen production methods are energy intensive and rely heavily on the use of fossil-fuels. This makes hydrogen less environmentally friendly than it is intended to be. While using hydrogen to generate electricity does not result in the production of harmful emissions, the production of hydrogen does. This has created a strong need for renewable hydrogen fuel production solutions, especially as fuel cells become more popular energy systems.